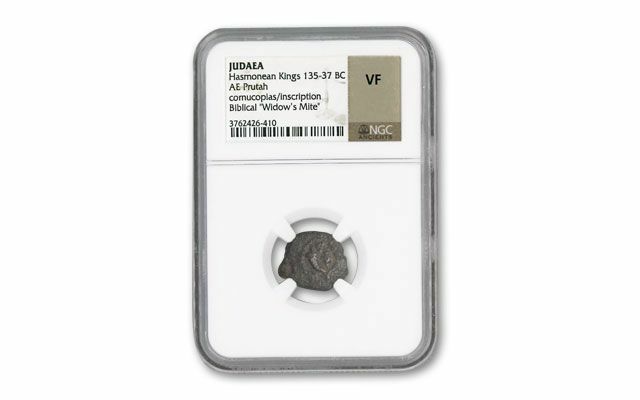 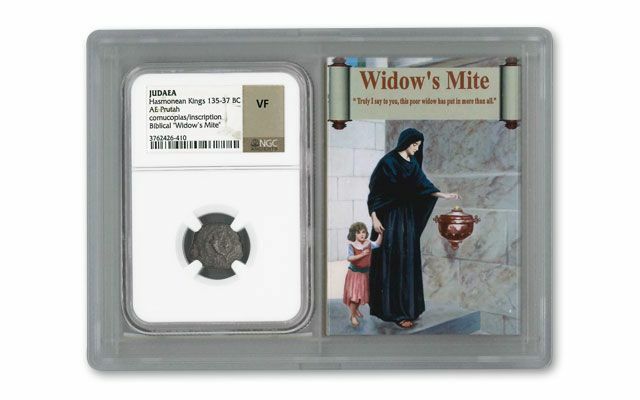 The mite was the smallest of the Judean bronze coins - two were offered up by a widow in the New Testament, leaving us a lesson of abundance and charity. 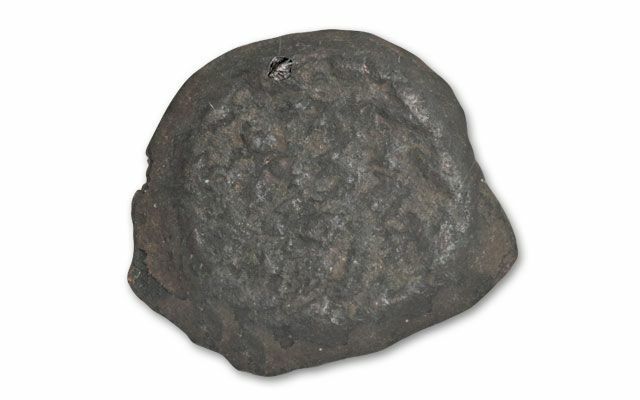 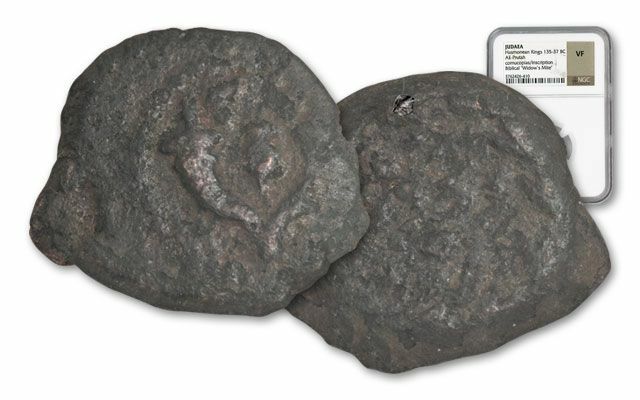 This widow's mite, called a Prutah, circulated when Jesus and the Apostles walked the Earth 2,000 years ago. 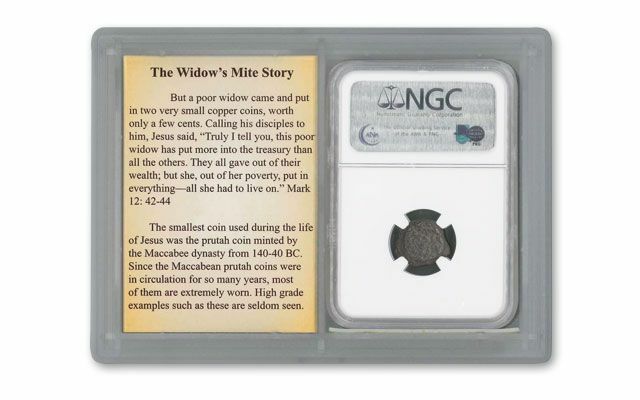 Each widow's mite was individually hand struck by artisans - and now you can experience more than 200 decades of history in your hands. 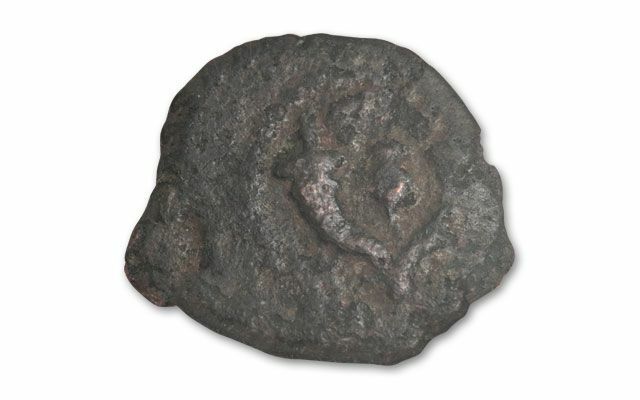 You'll receive one bronze coin featuring horns on the obverse and Hebrew script on the reverse in Very Fine (VF) condition.